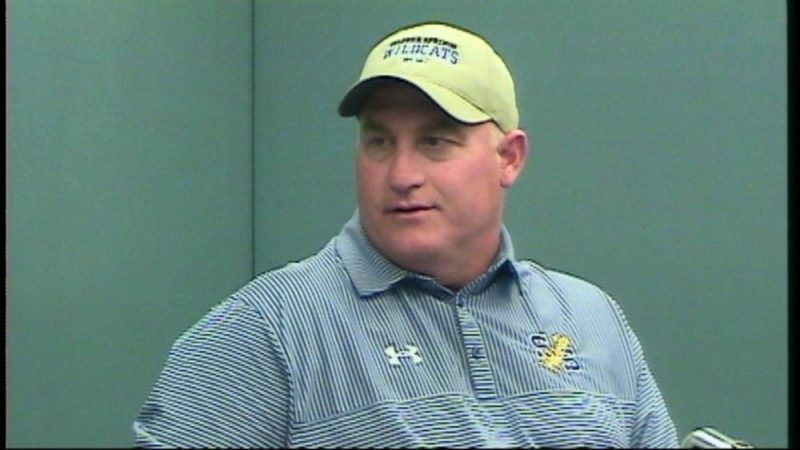 What is Wildcats Football Coach Greg Owens assessment of things as Texas High comes to town Friday? The Wildcats are 0-2 in district play and 2-4 overall. Coach Owens says he would like a few more wins. He says the Wildcats’ backs are not completely up against the wall but he says it is getting tight. Coach Owens says all he knows to do is to keep working. He says the Wildcats are getting better and are doing some good stuff. He points to a good first half at Marshall. Coach Owens says the team needs to finish. He says the Wildcats have a great opportunity Friday night against Texas High. Coach Owens says the Wildcats are playing at home so they don’t have to travel to tough Grim Park at Tiger Stadium. He says the Wildcats have to do things right, take care of business, pay attention to details and make plays. When asked about a Gerry Stanford Texas High as compared to an ex-coach Barry Norton Tigers’ team, Coach Owens says they still have Texas High athletes. He is impressed with Tigers’ receiver Tevailance Hunt and quarterback Coltin Clack. Coach Owens says Texas High’s offensive line averages about 6-foot-2 and 250 pounds per man but it does not have the giants in the line like other teams the Wildcats have faced. Coach Owens says the Tigers have a balanced attack of running and passing. Coach Owens says keys to the game for the Wildcats is to be consistent on offense and to make first downs and on defense to prevent big plays. Texas High lost a player in early September as he died in his sleep. Coach Owens says the Wildcats hurt for Texas High. He says they have been encouraging the Tigers. Coach Owens says he knows it has shaken the Tigers’ team. He notes the Wildcats went through the death of a player in the off season several years ago. He says such a tragedy draws a team together and reminds them what is really important in life.